This term has been both busy and challenging for everyone within our organisation. I have now almost completed my first round of half day academy visits, which have not only confirmed to me the incredibly high levels of commitment of colleagues, but also the universal desire that exists within Diverse Academies to do the best for every child. It has been very humbling to observe first-hand the skill, expertise, care and compassion demonstrated by my colleagues time and time again within our academy settings, each with their own demands. I would like to thank everyone for their professionalism and the impact they are having on maximising the life chances of our students, either directly through teaching and support, or indirectly through providing vital services and business functions. This term has also seen the launch of a small, but never the less important, initiative to raise student awareness of the trust and involve them more in what goes on behind the scenes beyond their own academy. I now have two large noticeboards within my office in the Diverse Education Centre which are dedicated to the display of students’ work. Each month, work from two different academies will be displayed and the students invited to spend a couple of hours with me talking about their work and life in their academy over refreshments. 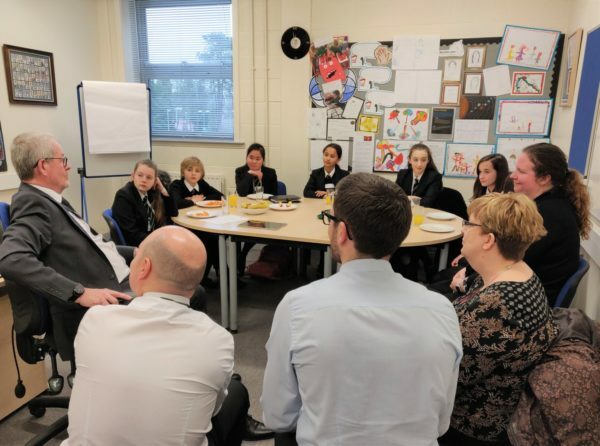 The students also get the opportunity to meet some of the staff that work across the trust and discuss their roles with them. The visit is then rounded off with a tour of the building. Many thanks to my colleagues who have taken time out to accompany the students and who have enabled them to produce such excellent work. Our challenge at the Diverse Education Centre is now to bring it alive so that it becomes a dynamic facility that everyone within our trust can identify with, get involved in and use as a resource. The centre is, of course, the home of the Diverse Academies Institute, and our plans for the future include opening the facility for use by academies and students. Watch this space! Six months in to the financial year it is pleasing to note that we are meeting our financial targets and operating within budget. This is no mean feat, as we are all aware of the significant financial pressures that we are faced with. Unfortunately these pressures are here to stay, but with careful financial planning and management I am confident that we will be able to continue to increase the proportion of our income that we spend on front line education provision. Over the past ten years or so, MATs have become an integral and growing part of the education system, and I do not think there has been a time when there has been more rigorous and robust scrutiny and accountability in respect of how we operate and perform. This is absolutely how it should be. I guess it is as a result of this heightened scrutiny that we seem to hear about more and more cases in the media of where things have gone wrong in MATs. I can assure all colleagues that within Diverse Academies we are constantly monitoring how we operate to ensure we are fully compliant in respect of our legal obligations, and the expectations and requirements of us by the key bodies that scrutinise and hold us to account. You may be interested to know that in essence we are directly responsible to the DfE, and more and more we are seeing ministers having a direct input into the scrutiny and accountability process. 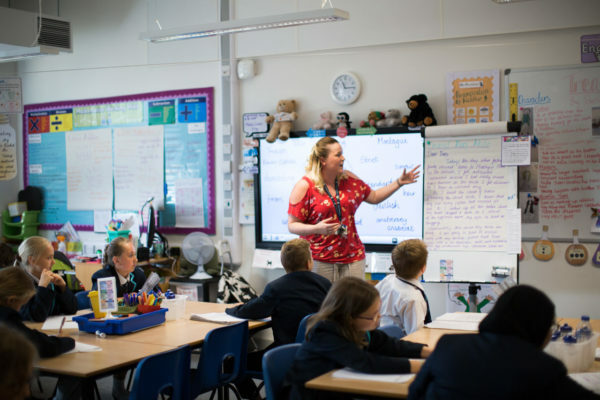 However, two agents of the DfE carry out the lion’s share of these processes – the Regional Schools Commissioner (RSC), which for the East Midlands and Humber is John Edwards, and the Education and Skills Funding Agency (ESFA). Both these agencies report back to ministers. A third body is, of course, Ofsted which, in addition to carrying out inspections in our individual academies also now carry out MAT reviews. Ofsted is not an agent of the DfE but an independent body reporting to Parliament. I would also like to inform you of another significant piece of work which has been undertaken this term with our Trustees – reviewing the Diverse Academies vision and direction, values and goals, in addition to honing our strategic priorities for the next three year years. This means that we are fully prepared to enter the next planning cycle for September earlier and our academies have clarity as to the trust priorities, which they will need to build in to their improvement plans. Finally I would like to thank everyone for their hard work this term and wish you a thoroughly restful and enjoyable Easter break… hopefully in the sunshine!